A study evaluating a behavioral assessment system that is widely used in the diagnosis of ADHD provides clearer guidance on how to interpret results. Properly handled, information provided by parents and teachers should help doctors determine with greater clarity whether a child has attention-deficit/hyperactivity disorder (ADHD). That’s the premise of a study published March 5 in the Journal of the American Academy of Child & Adolescent Psychiatry. People with ADHD persistently exhibit inattention and/or hyperactivity and impulsivity that interferes with their executive functioning (decision-making and self-control) and/or ability to manage their daily tasks. Medication can help, but appropriate treatment depends on an accurate diagnosis, and there is no single diagnostic test for ADHD. The American Academy of Pediatrics recommends that in assessing a child for ADHD, healthcare professionals ask parents, teachers, and other caregivers about the child’s behavior in various settings, such as at home and at school. However, little guidance is available about how to interpret this information. 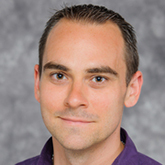 Joseph Stephen Raiker, Ph.D., a 2015 Foundation Young Investigator at Florida International University’s Center for Children and Families, recently collaborated with a team of researchers to provide clinicians with a clearer framework for diagnosing ADHD. In particular, they wanted to make it easier to interpret results from the Achenbach Scales of Empirically Based Assessment, a set of questionnaires that are widely used in the diagnosis of ADHD. The Achenbach system includes a behavioral checklist for caregivers, a teacher report form, and a self-reporting form for children and adolescents to rate their own behavior. Responses to these questionnaires generate scores for a variety of measures, such as attention problems and rule-breaking behavior. They do not, however, definitively determine whether a child does or does not have ADHD. The researchers used the Achenbach Scales to assess 620 children and adolescents who visited a community mental health center for any reason, and agreed to participate in the study. Separately, a clinical psychologist reviewed all available information about each individual and made a diagnosis. The psychologist’s diagnosis was used to assess the diagnostic power of information obtained from the Achenbach questionnaires. The team found that parent-reported attention problems were most useful in identifying ADHD, but that the accuracy of the diagnosis was improved when information from a teacher’s report was also included. The team used data from their study to develop diagnostic “likelihood ratios”—estimates of the likelihood that a given score indicates the presence or absence of ADHD. These should help clinicians interpret Achenbach assessments and apply an evidence-based medicine approach -- integrating clinical experience and data about the specific patient with the best available research information -- to diagnosing ADHD, they say. Among its six other members, the team included two former grantees, 2009 Young Investigator Thomas W. Frazier, Ph.D., at the Case Western Reserve University School of Medicine, and, 1993 Young Investigator Robert L. Findling, M.D., M.B.A., at Johns Hopkins University.